James Hoyt became the Executive Director for Opportunity for Youth in December 2017. He is a nonprofit business executive with decades of proven success in providing high-quality strategic performance and enterprise-wide leadership at both national and international levels. Being a strategic visionary and business leader, he has a natural flare for being able to create and mentor pioneering, high-performance corporate teams while building consensus among staff, Board of Directors, and community. Moreover, his hands-on experience in directing multimillion-dollar organizational budgets, fostering productive partnership, and maximizing organization-wide performance are part of the advanced skills that he brings to the table. James received his B.A. in Communications at Niles College of Loyola University of Chicago his M.A. in Community Service and Administration from Regis University in Denver. Kristin Ferguson-Colvin served as the Interim Executive Director of Opportunities for Youth from August to December 2017. She is an Associate Professor in the ASU School of Social Work, where she teaches classes in social policy, practice-oriented research, macro practice, and community participation strategies. In 2018, she started and oversees the Center for Human Capital and Youth Development (CHCYD; https://publicservice.asu.edu/chcyd), which is a space for faculty, students, community partners, youth and policymakers to work together on research, practice and policy initiatives for youth to enhance their educational, employment and leadership opportunities. She continues to support Opportunities for Youth –an initiative of CHCYD—through grant writing, capacity building, and research and evaluation. Robin Hollis returned to the backbone team in November 2018 to lead the Opportunities for Youth business engagement function. She previously served as a member of the initial backbone staff in 2015. She is a successful global learning and talent management executive having worked within regional and global industries of healthcare, banking, information technology and high tech distribution. Her expertise includes economic workforce development, organizational and leadership development, learning, strategic facilitation, systems and grant writing. As a community leader, she works with youth-centered non-profits while focusing research on maximizing millennials’ workforce performance. She holds certifications as a certified Facilitator and is both a Certified Kolbe™ Consultant and a Certified Kolbe™ Youth Specialist. She earned her Ed. D. from University of Pennsylvania in work-based learning leadership and her MBA from USC. Kendelle Brown joined Opportunities for Youth in September of 2017 through AmeriCorps Public Allies Arizona. Kendelle received her M.S. Data Analysis & Program Evaluation from the Arizona State University College of Public Service & Community Solutions in Spring 2019. Kendelle hopes to expand youth outreach for Opportunities for Youth through data collection and research. Belinda is a master’s level social worker with a concentration in policy, administration, and community practice. Currently, she is a second-year master’s in public administration student. Born in King City, California and raised in Southern Texas, Belinda was greatly impacted by the time spent helping her grandfather who had amyotrophic lateral sclerosis (ALS). This inspired her to work with vulnerable and marginalized populations. As a non-traditional student with many years of work experience, she has worked with diverse populations – most notably working with youth and adults that have a disability while employed with Tempe Union High School District and Vocational Rehabilitation Services. She is passionate about employment and education access as a way for people to gain a sense of stability and self-sufficiency. Ricky Duran joined Opportunities for Youth in June 2018. As the organization’s Marketing Specialist, his goal is to grow awareness for Opportunities for Youth and the resources they make available throughout the community. Ricky graduated from Arizona State University in 2011 as a first generation college graduate, then went on to complete an AmeriCorps term as an outreach coordinator for a conversation focused collaboration between U.S. Forest Service and Sedona-based non-profit Oak Creek Watershed Council. Over the past 8 years, he has worked to develop and manage numerous campaigns and marketing efforts across a variety of industries. In 2019, Ricky is a first year Masters of Public Policy candidate, and hopes of use data sciences to develop systems change that are inclusive to their community and its membership. Felix Moran joined Opportunities for Youth on April 2, 2018. Formerly an opportunity youth himself, he aims to empower youth to find their voice, encouraging them to speak to their local/state political officials. He loves advocacy and being involved in the community. Felix plans to further his education and attend Arizona State University for political science. He would like to make Arizona a better place for all its residents. 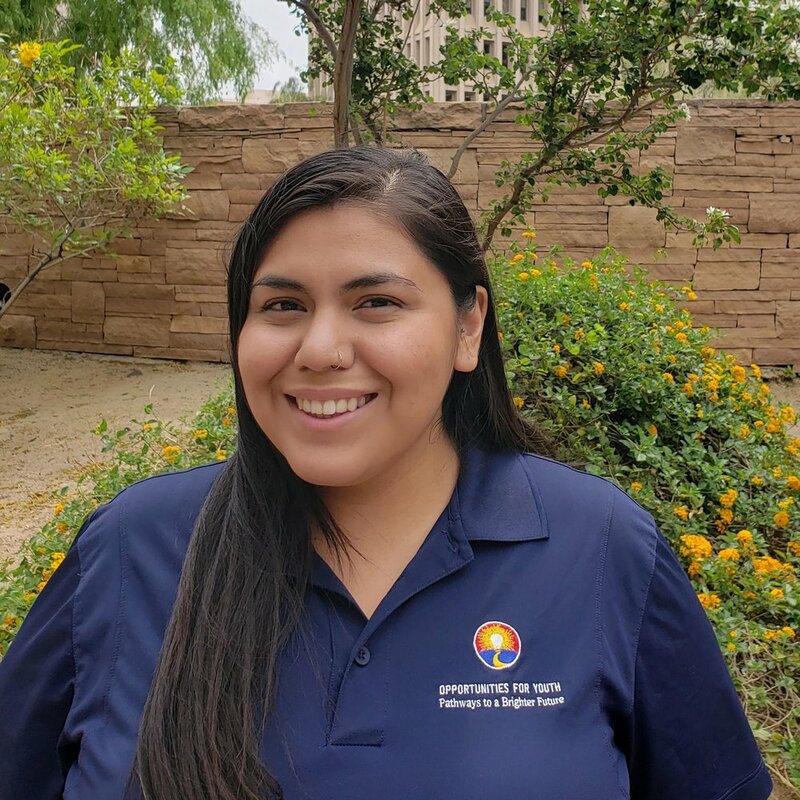 Channtal Polanco joined Opportunities for Youth in September of 2018 as an AmeriCorps Public Ally of Arizona. Channtal is a first generation college student attending Phoenix College to obtain her Associates in Arts. As a former opportunity youth herself, Channtal yearns to make a difference in her community while helping others grow alongside her in the process. 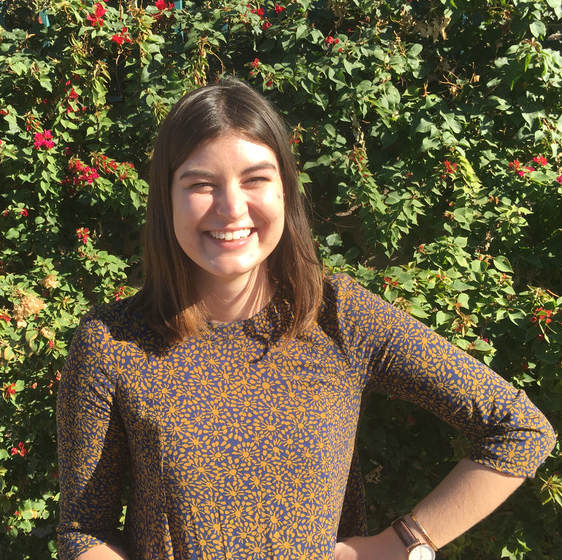 When she concludes her term of service with Public Allies, Channtal plans to continue her education at the Arizona State University School of Social Work. Opportunities for Youth has helped Channtal see herself as a leader in her community, igniting her passion to serve and uplift those around her. Elizabeth joined OFY in August 2018 as the Research Specialist, supporting the team in data management and data-driven decision making. Elizabeth graduated from ASU with a master’s degree in Social Work and a master’s degree in Public Administration in 2018 in hopes of working alongside the community and local governments to build and support programs that are tailored to meet the needs of diverse migrant populations. As a doctoral student in the ASU School of Social Work, Elizabeth studies global social work, cultural identity formation, and equity in access to resources and opportunities for migrant people. Along with OFY’s partnering agencies, Elizabeth aims to help the diverse youth in Arizona enter gainful and meaningful education and employment pathways. The Opportunities for Youth office is located on the 19th floor of Phoenix City Hall in Downtown Phoenix. Meetings are typically held at Arizona State University in the UCENT building, where the College of Public Service and Community Solutions is housed.